Economy blackout roller shades are designed to last for years and they’re heavy duty commercial grade. Constructed of vinyl coated fiberglass, the roller shades come standard with straight bottoms and heavy duty continuous chain clutch operation, which allows you to set your shades at the height you desire by pulling the chain. 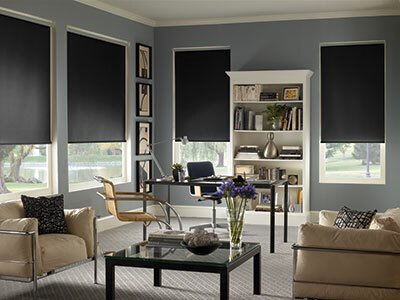 These shades are great for rooms that require total darkness, such as bedrooms and home movie theaters, because they block out 100% of visible light although some light may peek in around the edges. You won’t find quality roller shades for such an affordable price anywhere else! Interested in other options for blackout shades? 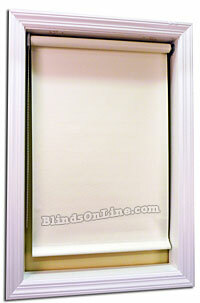 Check out our entire line of light-blocking shades at BlindsOnline.com. Because our products have been crafted utilizing commercial grade vinyl-coated fibreless, they’ve been designed to retain their performance for many years to come. This means homeowners don’t have to worry about replacing the system. Our Economy Blackout Roller Shades each come standard with straight bottoms and durable continuous chain clutch operation. This ensures that homeowners retain complete control over the amount of light that enters their property. They can simply control the system by pulling on the chain. 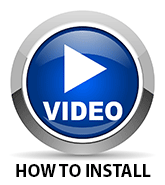 This will change the height of the blinds and allow more or less light in the room depending on the operator’s requirements. At BlindsOnLine.com, we work tirelessly and plan precisely to ensure our products are exceptionally affordable for all homeowners. Our Economy Blackout Roller Shades are among the most affordable on the marketplace today. 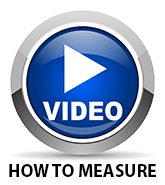 This means we can meet our clients’ pricing needs while responding to their requirements for a top quality product! Be sure to check out our blinds on sale section for valuable coupons to help save you money! Few roller shades on the market offer the level of light blocking performance provided by our Economy Blackout Roller Shades. Our commitment to complete light control means that our Economy Blackout Roller Shades are the ideal solution for environments in which complete darkness is required! Looking for all of our light blocking blackout shades? 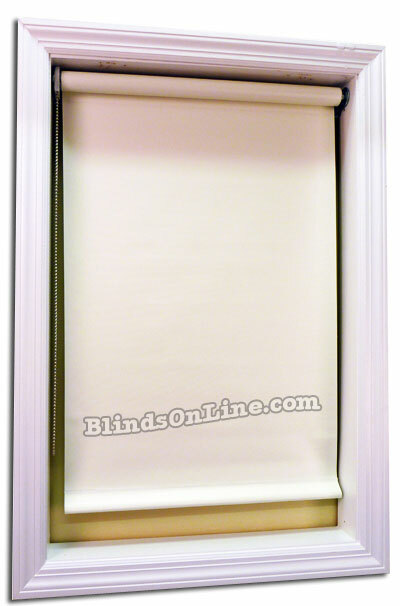 BlindsOnline.com offers a number of options for blocking sunlight from our economy blackout roller shade to our ultra-premium Shangri-La 3" Shade. Shop all light blocking shades at BlindsOnline.com. "Great, blacks out light, good deal-i've installed 3 of them"